What is the maximum number of pieces of cake that can be made with 10 planar cuts? 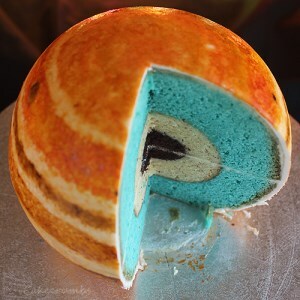 Let’s take a spherical cake, somewhat like the Jupiter layer cake in the image, and each planar knife cut slices the cake into two pieces. We’ve met this problem before, but beyond 4 or 5 slices trying to think geometrically can be a brain ache - unless you are gifted in spatial reasoning! However, the general formula for the maximum number of pieces N(p) after p cuts is just a cubic polynomial. Find this general formula and solve the problem!